Two time NZ entertainment company of the year! John and his enthuse team deliver fantastic event services that always seems to exceed expectations. He is creative, and always looking for ways to make an impact, either as an MC, speaker and motivator or with entertainment and team building services. Ultimately John and his company enthuse are in the business of creating memories and provide profile and engagement opportunities for his clients and he always delivers, with a good dose of enthusiasm! like to see some more feedback? save time and money – deal with only one company for your entertainment, theming, team building and MC services. actors and entertainers that sing! 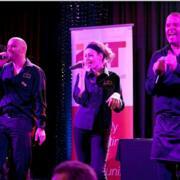 Including our very popular Singing Waiters; entertainment on aplate! lots of opportunities in one; an MC, actors, team building, speaker and themed entertainment! team building – mini Olympics, make a Hollywood movie, have a game show or murder mystery or get high in the forest! we provide our services throughout new zealand and overseas. Anyone can book a venue and throw on a few drinks, but it’s making an event memorable and differentiating it from what everybody else is doing that is the key to success! A little investment in entertaining clients can go a long way to strengthening a company’s bottom line. The more motivated and inspired a company’s clients and staff are, the more likely they are to remain loyal. Events & entertainment: celebrate the company and its achievements. The more motivated and inspired a company’s clients and staff are, the more likely they are to remain loyal. It costs more and is much harder to attract new clients or even new staff than it is to look after existing ones, so it’s not rocket science that really looking after your existing clients and staff should be a priority and that’s where events can make a real difference when done well. Developing creative events with unique entertainment demonstrates a commitment that can have real benefits to a company’s bottom line. Staff and clients feel ‘the love’ and in turn are more motivated to perform. enthuse has won the Best New Zealand Entertainment Company category twice in the People’s Choice Awards managed by the Corporate Events Guide. 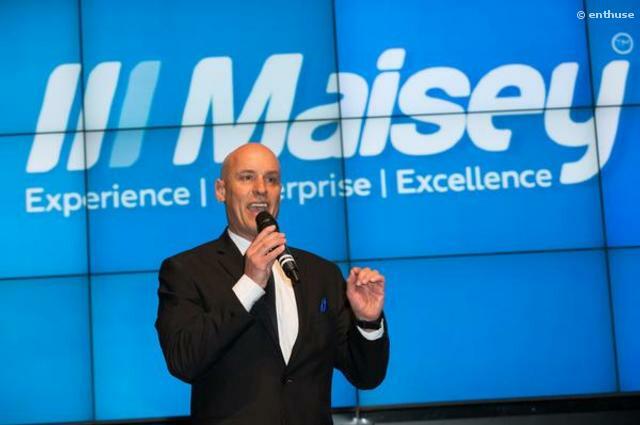 enthuse has an award winning track record of over 15 years of adding an enthusiastic creative spark to conferences and events all over NZ with professional improv acting, mc-eeing and entertainment options, including our popular Singing Waiters. enthuse provides leading entertainment, team building and MC services and can help clients develop and manage their event if required. To reinforcing this point.. sorry, we've repeated ourselves a wee bit.. We can save clients time and money as we really do offer so much under the one roof – entertainment, event management, theming, team building, a professional speaker and an mc. We specialise in providing actors and entertainers that are multi talented and can act as part of an event theme and then transform into the evenings themed band, filling the dance floor. Clients can relax and sit back and enjoy their event with the knowledge they are in very capable, experienced hands. Harvey Norman – entertainment, the singing waiters and mc. 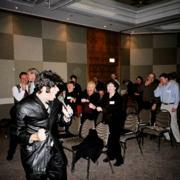 Arnotts annual conference, improv acting, team building, theming and entertainment. Colegate – Back to the Future afternoon action and activity. Toyota Financial Services 20th year Gala Function in Auckland; mc and entertainment. 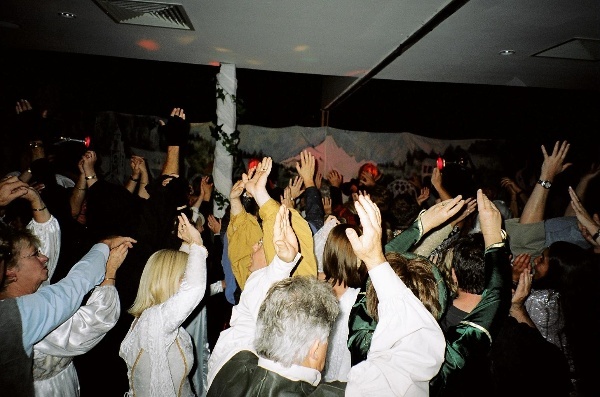 Meriden’s Christchurch and mid winter functions – acting and entertainment. Southern Secretarial Summit, closing key note speaker (Fiitter body fitter mind), acting and entertainment. First National Real Estate’s Australia and New Zealand conference, providing and organising the entertainment for their gala awards evening. The Accountants Big day out in Auckland with Business Fitness - MC and entertainment. Perpetual Trust’s conference and 125th anniversary celebration, providing team building, theming, entertainment and MC and the entertainment for the gala award evening. Phonak NZ’s gala function in Auckland for departing CEO, providing the entertainment and interviewed the CEO in a ‘This is your life’ style format. Technology Users Association of New Zealand gala awards evening at Sky City in Auckland - mc and entertainment. Bay of Plenty Pharmacy conference in Taupo - acting and entertainment. Westpac – large number of speaking and training presentations throughout NZ. Around Brunner Cycle event - mc, commentary/music and media/pr. enthuse is the preferred events & entertainment company for the Mantra Group, the property management company for Peppers Resorts, including Clearwater in Christchurch, and the Rydges Latimer Hotel in Christchurch. contact us today for your free half hour event planning session - find out what a difference we can make, and how we can save you time and money! in person or via phone and web... contact us today to enthuse your next event! We enlisted the help of the enthuse team at two of our conferences. Both events were not only fantastically memorable but great fun for our delegates. Everyone was pulled into the spirit of celebration egged on by the enthuse team ensuring it was a great night of laughter and fun. Both events were uniquely different, surprising and delighting those who attended. Thanks enthuse! enthuse provides such a great package. Not only did John provide fantastic entertainment for our function, the presentation he pulled together at short notice was awesome. I don't think we have ever had so many good comments on choice of entertainers! I cannot thank enthuse enough for taking the stress away from our event. John made the whole evening run smoothly, and even thought of the little things that we had overlooked!! Keep up the great work, and we will be seeing you next year for our conference. The Team Building was a challenging experience and everyone is still talking about it. Friday night was fantastic, your professional and sense of humour made the event a huge success. Check out our singing waiters tv Youtube channel too.. Need something creative, innovative and different to add some spark to your event? the entertainment starts as soon as guests arrive with the Singing waiters; entertainment on a plate. Guests are completely in the dark as they are waited on by some very friendly, outgoing and slightly unprofessional waiters... that become the band! fantastic, fun interactive entertainment! an innovative idea or themed concept for your event? advice and guidance with lighting, sound, venues and catering? some roving 'characters' to liven the event up? team building - outrageous conference fun to targeted strategic initiatives. Get your team fully involved in the Mini Olympics, Murder Mystery or a Game Show, Make a Hollywood blockbuster movie or perhaps some garden 'lawn' activities might suit!! a professional speaker? John does keynotes on branding, sales and marketing - topics include Fitter Body Fitter mind, Your are your Brand, marketing your plan on one page, releasing your achievement drive, Show me the Money. thinking about christmas?? need some special christmas themed entertainment? Never too early or late to think about Christmas! Do you need all that organised for you? Creative and original does not mean it has to be expensive! Let us take the stress out of your next function - and making it memorable, so it will be talked about for ever... The more involved we get the more money and time we can save you! Marketing communications consultant, presenter, actor, entertainer, public speaker, MC and events organiser John's varied background means he is in demand as a media and events consultant, MC, presenter and entertainer. 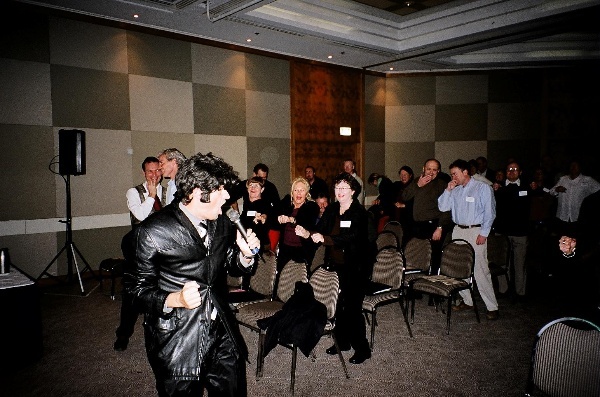 His down to earth style mixed with an enthusiastic approach and good sense of humour means he has broad appeal to a wide range of audiences, either straight up as John McKenzie, or as one of the many roving characters he has created for corporate events, incentive groups and conferences. The crowd enjoys a special Lord of the Rings function at The Skyline in Queenstown as part of a conference where enthuse organised the theming and entertainment and its chief enthusiast hosted the function as Gandalf. John has transformed into many varied characters... Austin Powers, Elvis, fitness guru Richard Simmons (disco sweat office aerobics ice breaker!) Bjorn from Abba, lively milk salesman Andy Loose (for Fonterra), Capt Jack Sparrow, Danny from Grease, Gandalf from Lord of the Rings, even as farmer ‘Bob’ from the West Coast, a headmaster, Frank-n-furter and as himself.... we can tailor something just for you! As an event organiser John realises the importance of an MC getting the information right - with a background that also includes work as a radio announcer and television presenter, John is well placed to be a great MC. His track record speaks for itself. If you need a professional MC with an unique enthusiastic style to ensure your event runs smoothly enthuse looks forward to hearing from you. Nothing better than an morning wake up call with Greased Lighting! A mixture of experience that covers marketing, the media and public relations and events is quite unique! 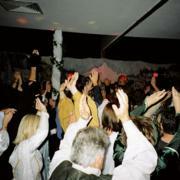 let us organise your best christmas function ever!! click on the enthuse cracker christmas logo above to download our flyer that outlines all we can do - entertainment, venues, catering... whatever you need! Package it up, and save time and money! Great Conference MC - very professional with amazing enthusiasm and energy. Feedback from the staff has been fantastic. Everyone has said they had a great night, lots of laughs, and a good balance over the evening. Enjoyed the part when you had the staff get up and get involved with the entertainment – even if they hated Phil and Wayne for picking them – they still had a good time!! The music and entertainers were fantastic as always – we loved the Oscars theme!! 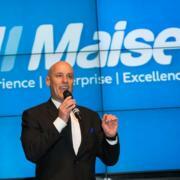 In regards to your part – felt you did a fantastic job of managing the event – liaising with hotel, props and myself. It was great that you kept in touch with what was happening, getting in touch when you needed feedback from me, or just keeping me informed on where we were at and what you had organised. Your part as Silly Pistol during the night was really fab and you played the part really well!! Great job!!! Having ridden the European professional cycling circuit for a number of years including the Tour de France, I know how important a professional commentator is to making the event a success. Being present at the Armstrong Prestige Criterium and having the pleasure of hearing John commentate had me glued to the event from start to finish. His passion, enthusiasm and energy bought back many memories but more importantly he entertained the crowd with a level of professionalism I’ve not seen here in New Zealand. Please accept my thanks, on behalf of the YHA Board and staff, for your efforts on Saturday night as MC for our 75th Celebrations. Our event was always going to be almost impossible to get right, given the diversity – in both age and attitude – of our guests, yet you choreographed a show that had the right mix of formality, theatre, fun and entertainment. It was a high energy performance that incorporated all the elements we had discussed in our planning and it was very well received by our staff, YHA members, tourism industry representatives and dignitaries. I have had some fabulous feedback already – especially from staff and Board members, who commented that your role and performance reflected the values and style of YHA. Well done and thanks for all your hard work John – this was never going to be an easy job – yet you pulled it off with flair! Would you like to see more some feedback? John managed to win the Prestigious Best Dressed Man at the Addington races during Cup Week in 2005. He also hosted the Air New Zealand fashion in the Field event at Riccarton Park for four years during Cup Week.